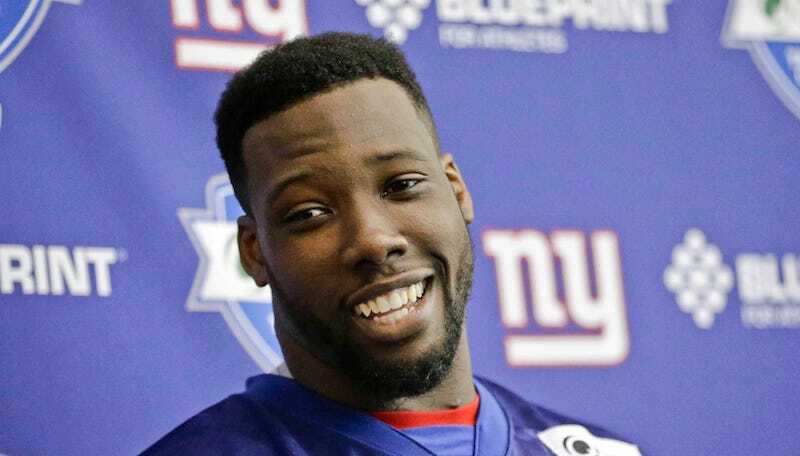 A Florida judge today denied ESPN’s request to dismiss an invasion of privacy lawsuit that was brought against them by Giants defensive end Jason Pierre-Paul last February. Today’s ruling brings the suit that much closer to trial, and according to Pro Football Talk, the trial is scheduled to begin next August. Pierre-Paul is suing ESPN and NFL reporter Adam Schefter for publishing a picture of his medical records last summer. ESPN’s lawyers argued before the judge that the case should be dismissed due to First Amendment protections. ESPN’s argument is that Pierre-Paul’s finger amputation—which occurred after he blew up his own hand in a fireworks mishap—was a matter of legitimate public concern given that Pierre-Paul is a famous athlete. Pierre-Paul’s lawyers do not dispute that their client is a public figure and that Schefter had a right to report news about his accident, but they maintain that it was unnecessary for Schefter to tweet out an image of the records themselves, and that doing so was a violation of Pierre-Paul’s privacy.